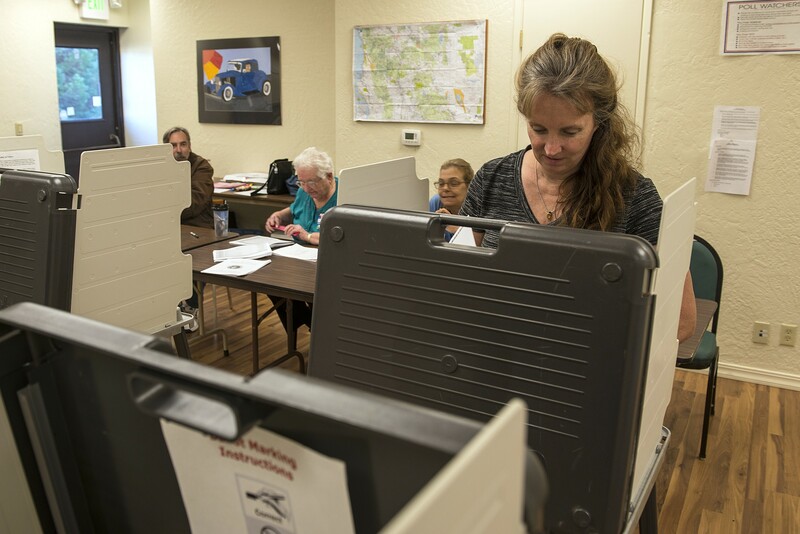 Kelly Erben cast her vote at the Sunrise Plaza in Eureka during Tuesday's election. Early returns are hinting at a low turnout, but Erben said her mother strongly encouraged her to vote in every election and she's only missed one since her 18th birthday. 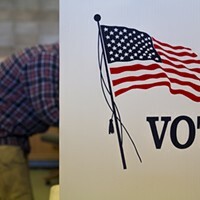 Anecdotal evidence is strongly hinting that today’s voter turnout in Humboldt County is dismally low, not that that’s a huge surprise with most voters facing sparse ballots and a pair of Harbor District races headlining the whole affair. The good news is that means your ballot has the potential to pull some real weight, and you still have a few hours to cast it before polls close at 8 p.m.
Humboldt County Registrar of Voters Kelly Sanders said her office mailed out roughly 31,000 vote-by-mail ballots and, as of earlier today, only about 9,000 had been returned, compared to more than 12,000 that came in prior to last November’s election. When we caught up with Sanders a bit earlier today, she said election volunteers were reporting that all was going smoothly, if quietly, at the polls. Sanders said she expects the first tallies to be posted by about 8:30 p.m. tonight. 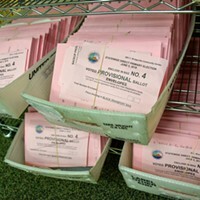 Most eyes will be on the races to fill a pair of seats on the Humboldt Bay Harbor, Conservation and Recreation District’s board, but there are also some school board races throughout the county, a property tax assessment in Arcata and McKinleyville and some open seats on community services districts in Manila and Willow Creek.